From fine fragrances to shampoo, hair conditioner, shower gel, deodorants and household products, we conduct sniff tests in controlled conditions at venues throughout the UK. By using locations where there will be no cross-contamination from cooking or other strong odours, we ensure consistent and accurate results. Overseen by our fragrance specialist, who has many years experience managing fragrance test surveys, our dedicated team of supervisors and interviewers are highly experienced and skilled at setting up venues and products based on strict criteria, such as creating uniform visual effects for respondents and controlled measuring of products. Over the years, we have established a reliable network of venues across the UK to conduct fragrance testing research. Most of the venues that we use for fragrance testing also have Wi-Fi for online data collection. We offer CAWI (Computer Assisted Web Interviewing) using our iPads. We also offer CAPI (Computer Assisted Personal Interviewing) using our laptops or iPads. We recruit respondents in-street prior to inviting them to come to the venue for the fragrance test. This means we can screen and interview a significant number of respondents in a single day, whilst ensuring we speak to a representative sample. 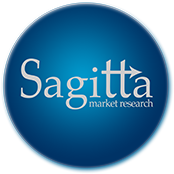 As a Market Research Society member, Sagitta Market Research Ltd ensures that our interviewers and supervisors are fully trained and work in accordance with the Market Research Society’s code of conduct. Please contact us to discuss your fragrance research requirements further.